For over 25 years, Motion Technology Inc. has been the leader in ventless kitchen solutions with the AutoFry® and MultiChef®. Our products have helped countless businesses expand their foodservice capabilities without the need of costly vent or hood installations. 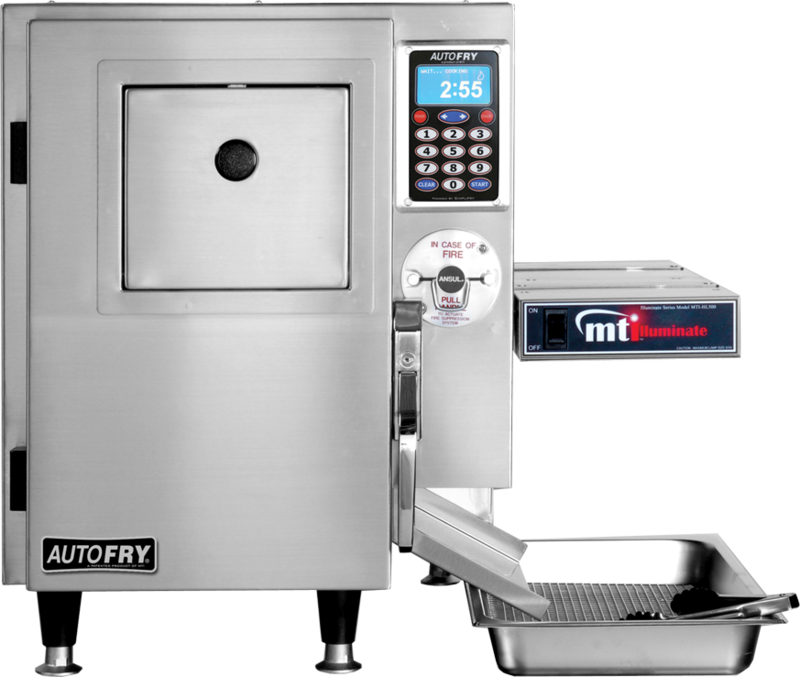 The AutoFry line features a ventless fully automated deep-frying system with a reputation for reliability, safety and affordability that is unparalleled in the kitchen solutions industry. Every AutoFry model is fully enclosed and fully automated. This makes operation simple and safe for employees and training a breeze. The system is designed for maximum consistency and safety, with built-in ANSUL fire suppression technology in every model. A sealed frying chamber allows AutoFry to operate without a hood and venting system, saving thousands of dollars in installation and operation costs. MTI’s proprietary Simplifry™ technology offers multiple programmable presets, standby mode and heat/time compensation intelligence, and four language presets. Learn more about AutoFry here! 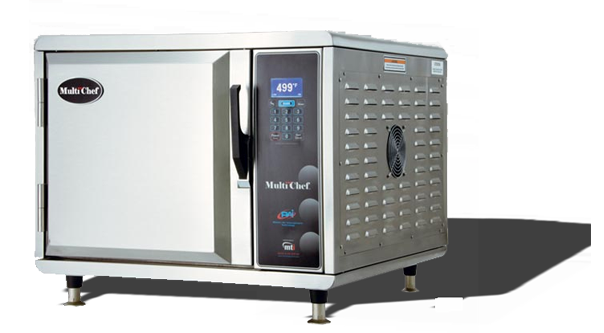 The MultiChef is a high speed oven, cutting cook times by more than 80% with superior results. MultiChef is efficient at cooking and baking a wide variety of menu items. Plus, with a built in menu, capable of storing 80 preset recipes, your entire menu can be just available in just three simple steps. Constructed of high quality stainless steel, MultiChef is easy to clean and built to last. Both quick-serve and full-service dining establishments appreciate the small footprint of this powerful and highly versatile high speed oven. Learn more about MultiChef here! Together, our family of products will allow you to serve fries, pizza, chicken and more. This year, we also will introduce three brand new products to the ventless kitchenspace! Be sure to stop by our booth to see the new ways you can expand your menu, not your budget or kitchen space.